The Botanic Garden, one of Europe's oldest Botanic Gardens, will offer activities for all the family focused on Leonardo's investigation of different species of plants. For younger visitors, there will be a trail on which they will find examples of plants studied and drawn by Leonardo. The exhibition is part of a larger itinerary around Oxford, entitled Leonardo and Oxford: Discovering the World of Leonardo in Oxford’s collections. 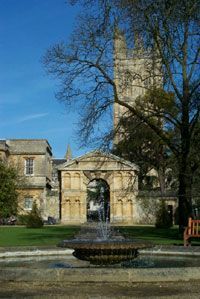 Other Oxford museums participating in the itinerary are Christ Church Picture Gallery, Magdalen College, The Museum of the History of Science and The Ashmolean Museum.